Zin from Burma raised $1,500 to fund heart surgery. Zin's treatment was fully funded on April 1, 2019. Zin did not receive treatment as expected. Her doctor performed another echocardiogram and informed her that she no longer needs surgery. Zin is a 28-year-old woman who lives with her husband and two daughters in Burma. Her husband is a teacher. Zin usually stays at home and looks after her children. In 2018, Zin went to Mandalay General Hospital and had an echocardiogram and x-ray. The doctor explained that two of her heart valves are wider than the usual sizes and that she needs to undergo surgery. Now, she is scheduled to undergo heart surgery on March 8. Her family needs help raising $1,500 to fund this procedure. Zin's case was submitted by Bue Wah Say at Burma Children Medical Fund in Burma. Zin was submitted by Bue Wah Say, Project Officer at Burma Children Medical Fund, our medical partner in Burma. Zin's profile was published to start raising funds. Zin was scheduled to receive treatment at Pinlon Private Hospital. Medical partners often provide care to patients accepted by Watsi before those patients are fully funded, operating under the guarantee that the cost of care will be paid for by donors. Zin is no longer raising funds. Zin's treatment did not happen. Read the update. Patients may experience excessive sweating, extreme tiredness and fatigue, irregular heartbeat, rapid breathing or shortness of breath, chest pain, lightheadedness, or loss of consciousness. Patients cannot do labor work—even doing household chores may tire them. Adults will be unable to care for their families, and children will be unable to play or attend school. As the condition progresses, patients may become unable to eat. Patients cannot afford to go to the hospital. Many people rely on medications provided by dealers who are not authorized pharmacists. Damaged valves are repaired and replaced during open heart surgery. This surgery saves lives. Children will return to school, and adults will return to working and caring for their families. Potential side effects include bleeding, infection, fever, swelling, inflammation, arrhythmias, damage to surrounding organs, stroke, and death. Heart surgery is more likely to be life-threatening for patients who are very sick before the surgery. Many of our medical partner's patients live in remote areas. They cannot afford or access treatment because it is only available in large cities. There are no alternatives. If left untreated, this heart condition will become life-threatening for patients. 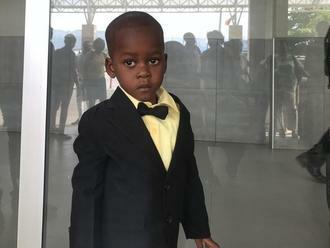 Roodolph is a toddler from Haiti. He lives with his parents in a small city in northwestern Haiti. He is their first child. He likes playing with cars and going to church. Roodolph has a cardiac condition called Tetralogy of Fallot. This condition involves several related defects including a hole between two chambers of the heart and a muscular blockage of one of the valves. Roodolph will fly to the United States to receive treatment. On April 17, he will undergo cardiac surgery, during which surgeons will use a patch to close the hole in his heart, and remove the muscular blockage. Another organization, HeartGift Foundation, is contributing $18,000 to pay for surgery. Roodolph's family also needs help to fund the costs of surgery prep. The $1,500 bill covers labs, medicines, and checkup and followup appointments. It also supports passport obtainment and the social workers from our medical partner, Haiti Cardiac Alliance, who will accompany Roodolph's family overseas. His mother says, "We are very excited for Roodolph to have this surgery so that he can be healthy and active!" Haji is a farmer from Uganda. For seven years, Haji has had an inguinal hernia. Fortunately, on March 20, he will undergo hernia repair surgery at our medical partner's care center. Our medical partner, African Mission Healthcare Foundation, is requesting $249 to fund Haji's surgery. Once completed, this procedure will hopefully allow him to live more comfortably and confidently. Haji says, "After surgery I will be happy because what has been disturbing me will have been removed." Atuhaire is a student from Uganda. He is the sixth of eight children. For six months, Atuhaire has had a hydrocele, which is a swelling in a sensitive area. The hydrocele causes him pain and discomfort. Fortunately, on March 13, he will undergo hydrocele repair surgery at our medical partner's care center. Our medical partner, African Mission Healthcare Foundation, is requesting $185 to fund Atuhaire's surgery. Once completed, this procedure will hopefully allow him to live more comfortably and confidently. He says, "I like playing football."